There are currently no Hoboken notable alumni listed. Be the first to add an HHS famous alumni. This section is to remember Hoboken High alumni who have passed away. 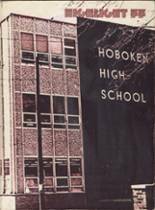 This site has been created for the former students of Hoboken High located in Hoboken, New Jersey. For former HHS students from NJ, you can view the class reunion information that has been posted by other site visitors. In addition, we encourage you to post your profile in the alumni directory, share information about the school activities you were involved with and reconnect with Hoboken High School alumni. If you haven't already, we also encourage you to register for free on this site. You may also want to check out the latest news and school memories. Isaac Mantilla has someone searching for them. William Van Bel has someone searching for them. Edwin Rowland has someone searching for them. Luis Olivari has someone searching for them. Jennifer Leach Iozia added photos to their personal photo gallery. Jennifer Leach Iozia updated their profile picture. Jennifer Leach Iozia registered as a HHS Class of 1972 alumni. 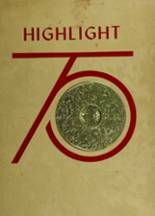 Rosemary Bilis requested a HHS yearbook from 1966. Rosemary Bilis registered as a HHS Class of 1966 alumni. Cynthia Dyson DysonColon registered as a HHS Class of 1979 alumni. Cynthia Dyson DysonColon added photos to their personal photo gallery. Cynthia Dyson DysonColon updated her profile. Wilda Acosta registered as a HHS Class of 1979 alumni. Wilda Acosta added photos to their personal photo gallery. Wilda Acosta updated their profile picture. 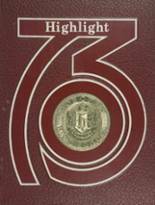 Wilda Acosta added reunion information for the HHS class of 1979. Cherie DeSalvo Mcclintock updated her profile picture. Cherie DeSalvo Mcclintock added photos to their personal photo gallery. Cherie DeSalvo Mcclintock registered as a HHS Class of 1964 alumni. Mary Mihatov updated their profile. Mary Mihatov added photos to their personal photo gallery. Jim Smith updated their profile picture. Jim Smith added photos to their personal photo gallery. Jim Smith registered as a HHS alumni. George Galinsky registered as a HHS alumni. George Galinsky updated his profile picture. George Galinsky added photos to their personal photo gallery. Xenia David registered as a HHS alumni. Xenia David updated her profile picture. Xenia David added photos to their personal photo gallery.